The Bicycle snake bridge is part of the larger cyclist infrastructure of Copenhagen. This project really enhances traffic safety by dividing pedestrian and cycle paths creating a first floor cyclist "bridge-road". The bridge has attracted tourists and worldwide attention as a solution for “slow traffic”. Communication, movement and architecture are expressed through a single, simple lighting design language. The white lighting concept offers a new perspective on this prestigious space, highlighting the Cathedral and historic buildings while preserving the calm and serenity of the historic square and enhancing architectural and cultural heritage. Both light and shadow are used in this concept. White LED lighting provided by Philips with adjusted color temperature to match the colour of the stones scored high when ranking this project. The facade lighting is kept to a relatively low level as a kind of "understatement" and follows the French guidelines for minimized façade light pollution. Citizens, tourists, commercial travelers and others feel the benefit of the new lighting throughout the night. A narrow dark lit street has become a safe and fun place for pedestrians at night thanks to this creative interactive lighting scheme. Presence detectors trigger playful lighting schemes with animated patterns and muted colors that entertain and bring the space to life. 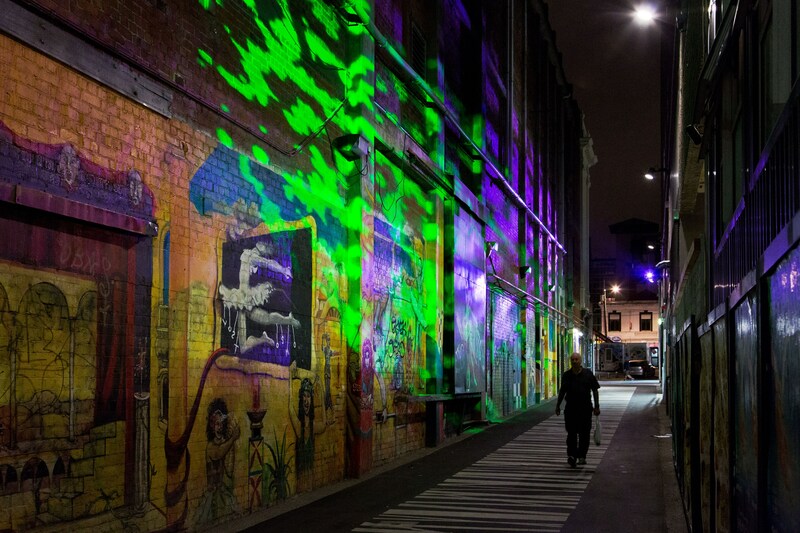 This project emphasizes the capacity of light to improve the livability, safety and visibility of a street with connected interactive lighting creating multiple scenarios or “light plays” triggered by sensors that interact with passers-by. The showstopper installation is a large chandelier hanging above the lane with projected light effects that create a dreamlike appearance. In addition, the project impressed the jury for the thought put into preventing glare and spilled light. This was the only ‘’industrial heritage’’ lighting project in the city.people.light awards, honoring the shipyard of the city. Uljanik is one of the oldest working shipyards in the world. Instead of moving the shipyard out of the center, it was brought to the fore and celebrated as a landmark recalling the city’s heritage and celebrating the economic growth engine of the area. 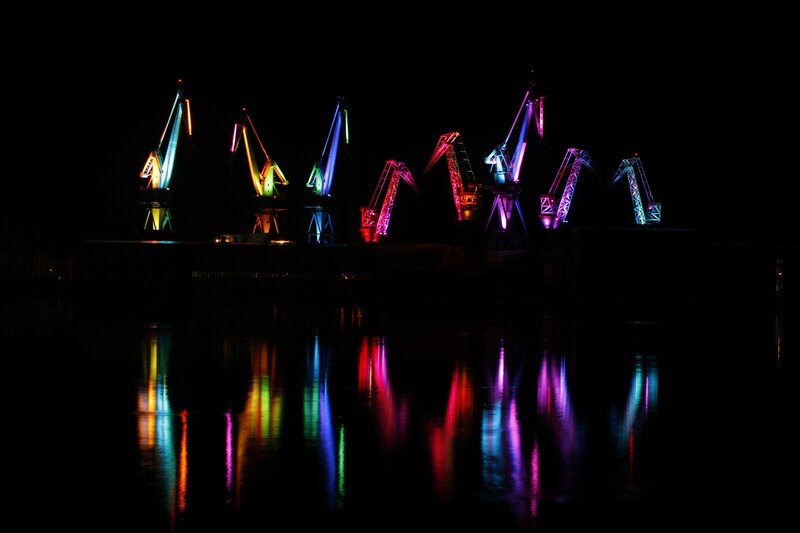 This unique project bathes eight majestic cranes in Philips LED light programmed to emit 16,000 different variations in color and intensity to highlight the industrial heritage of Pula. A large-scale light feature adds a vertical axis to the luminous sea horizon, creating a dynamic sculpture of the seafront. The illumination of the cranes also serves as an example for other cities with harbors or new urban area development programs. With the shipyard made into a living landmark, the urban lighting project stood out for its bold decision to preserve the industrial heritage that has brought prosperity to the city. A distinguished landmark that has revitalized the seafront of Pula. The People Choice award is a new award category this year where the public can vote for their favorite urban lighting entry. The top 16 projects from the city.people.light awards selected by the independent professional jury are competing for this new award. The city of Ankara has received the most votes from the public. Ankara succeeded partly because it activated the People Choice award through social media. Architectural harmony has been created by composing city structures into one lighting master plan. The warm and elegant ambience respects the nighttime landscape by using a variety of connected white and colored light technology. The scheme has had a positive impact on residents and visitors, creating attractive areas that are safe with modern silhouettes to enhance the city’s identity. 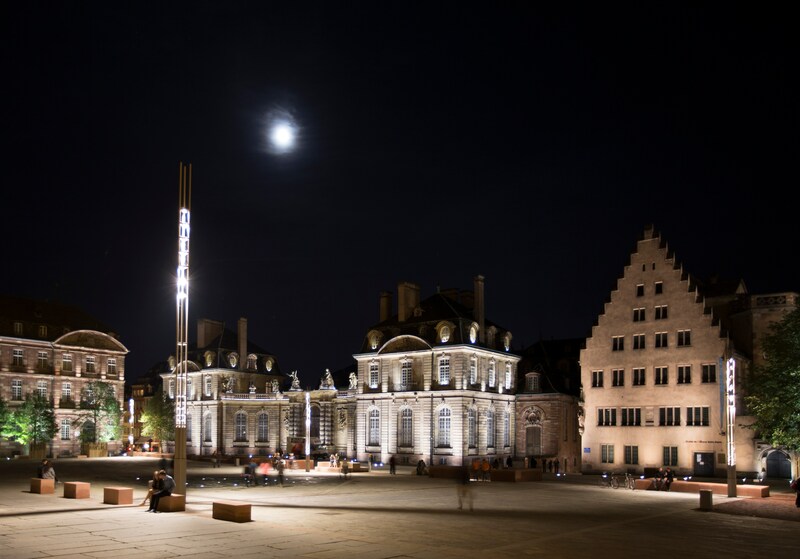 These kinds of large scale urban lighting projects are not often seen and the jury was convinced that this was a perfect example of how you can create and implement a complete lighting master plan for an entire city’s assets and infrastructure. The result is a great improvement and enhancement of the city’s image and livability.